Korean cuisine would usually not be my top choices but more of a go-when-someone-recommends/craves-for-it kind of thing. I visited Crystal Jade Korean Ginseng Chicken & BBQ for a colleague's farewell - with an established name like Crystal Jade made me more confident of the quality of food there. There were even service staff streaming around in their hanboks! 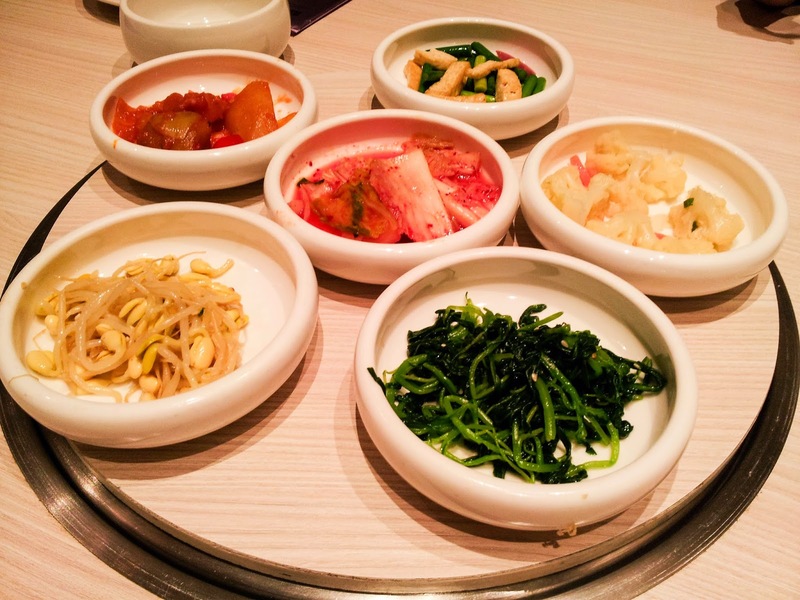 We began with six banchan side dishes that seemed more of a fusion between Chinese and Korean styles. The first mandatory side dish was the kimchi made from cabbage which wasn't very spicy. There was also kongnamul, cold bean sprouts drizzled with sesame oil. The rest were variants of vegetables - I only liked the bottom right side dish because it was lightly stir-fried and had this hazy onion taste. 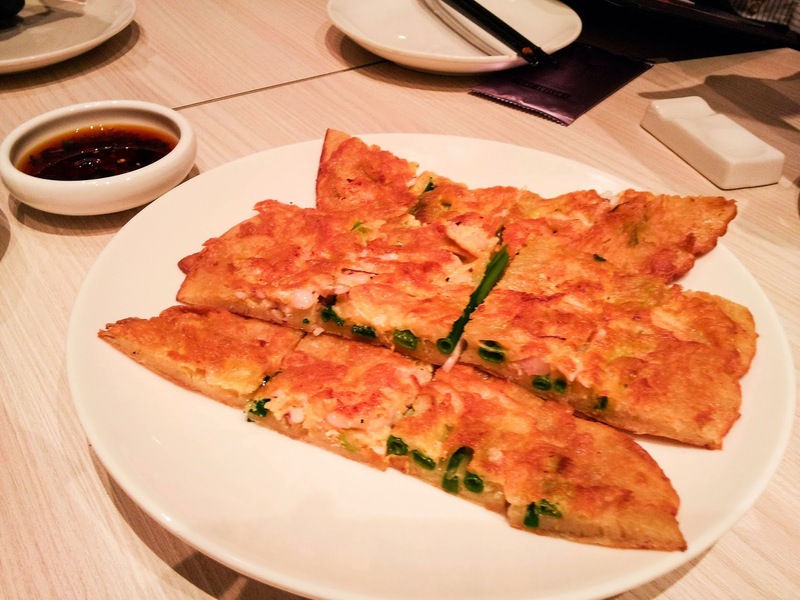 Another dish that we tried was the Seafood Pancake. It was a fragrant good deal of omelette and flour, crispy without being burnt. However it would be better if they were more generous with the ingredients given how much it was priced at. 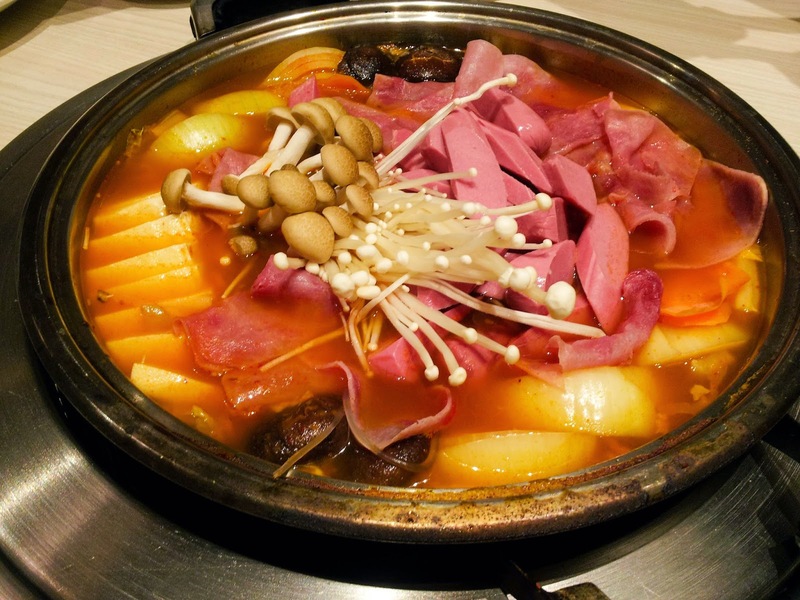 The budae jjigae, or Army Beef Stew was our choice for hotpot! The soup base was quite spicy for me, pushing my limits on how much I can take. With rice, it was more or less bearable. There are also a lot of ingredients though not a lot of variety - what you see is pretty much it. There were glass noodles to go along. There was so little or almost no beef to speak of, I felt like it was indeed a real army stew with scarce resources. All I remembered was eating a lot of processed meat. 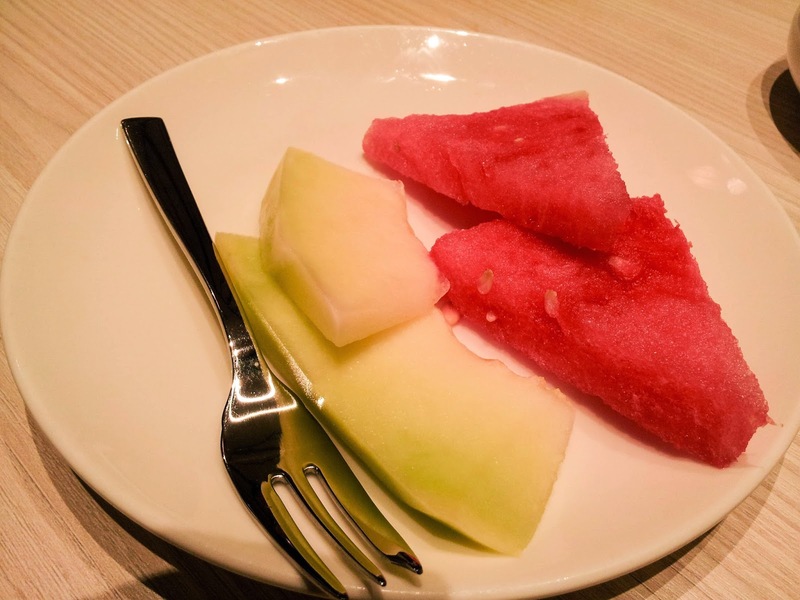 Fruits that weren't sweet to end off the meal! Another restaurant that failed to change my opinion on Korean cuisine. 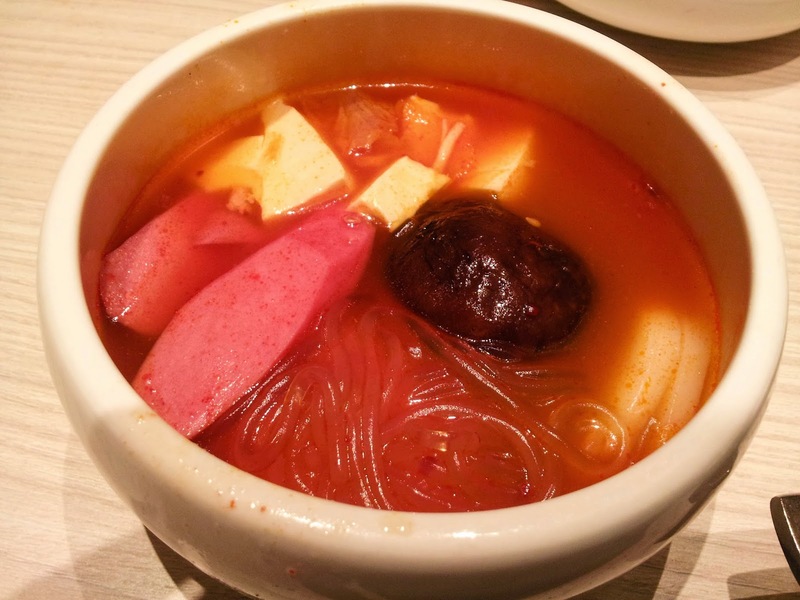 I am convinced that it's just because restaurants in Singapore cannot replicate authentic Korean food or perhaps I haven't found the right one. Recommendations, anyone? Togi Charcoal BBQ & Salad Bar at TripleOne Somerset is pretty good though.